The liner notes accompanying "Magic Hollow", the 2005 CD box set by the Beau Brummels, refer to their recordings produced at Gold Star Studios in 1964 as "the band's holy grail". Until then those tracks had only ever been rumoured to exist. Now's your chance to read a first-hand account of the session by the actual producer, Al Hazan. I received a phone call from Ritchie Romanello. He said he'd been referred to me by a friend in the business and he wanted me to hear a new group he was managing. 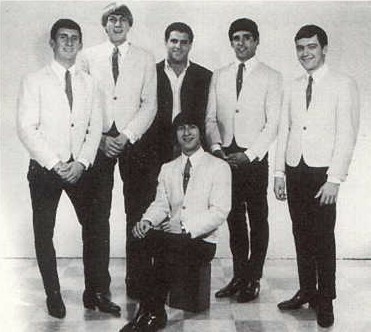 The name of the group was the Beau Brummels and they were appearing at The Morocco Room, a nightclub he owned in San Mateo, California. Ritchie was willing to fly me to San Francisco and back at his expense and at my convenience, and his associate would drive me from the airport to the club. I asked him a few questions about the group's experience and if they wrote their own songs. I liked the fact they had their own material and was taken by Ritchie's enthusiasm, so I told him I'd accept his offer. About a week later, I found myself sitting at a front table in The Morocco Room at about 8pm on a Saturday night. The place was noisy and crowded with young people and I could see Ritchie was doing good business. Waiters were running around serving drinks and customers were dancing to some pre-recorded Top 40 music, waiting for the live performance to begin. Ritchie was very accommodating and told me whatever I wanted to eat or drink was on the house that night. He was also kind enough to invite me to stay in the spare bedroom at his home if I had no overnight accommodations. It was evident he knew how to treat a business guest and was the type of man a band would want as their manager. I was half way into my second Martini when the five young guys called the Beau Brummels finally came on stage and set up their gear. I sat back and prepared to hear what they had to offer; Ritchie came over to join me. I let him know that, although I appreciated his hospitality, I was always honest with my opinion when it came to music. I wasn't about to tell him he had a group worth recording unless I was impressed. He said he appreciated that and wanted only my professional opinion. I actually thought the group was little more than average when I heard them. They might have been great for San Mateo, but their playing was no better than many groups working in Los Angeles. However, the big difference was the Beau Brummels had Ron Elliot, a band member I believed to be an exceptional songwriter. This put the Beau Brummels' potential above average in my opinion, for it was always the material that came first. Whether I'm considering a group, a singer or an instrumental record, the material was always the most important aspect of the project. After listening to them perform their original songs, I told Ritchie I would be happy to produce the group if he would bring them down to Los Angeles. He appreciated my comments and asked me when and where we should meet in L.A. I said I would call in a few days and let him know when and where to bring the group for the session. I left for L.A. the next morning. I arranged for three hours in Studio A at Gold Star, with Larry Levine as my engineer, and gave Ritchie all the information over the phone. This session was only going to cost him studio expenses - time, recording tape and vinyl discs (maybe $200 total), so he couldn't have been happier. The session went easily since the group was well rehearsed, although I remember changing who would take lead on one of the songs, which caused a little tension. I'm not sure who was singing the original vocal (it might have been Ron Elliot) but I remember switching duties over to Sal Valentino. Otherwise, it was mostly getting the right balance on the instruments and setting the microphones properly. 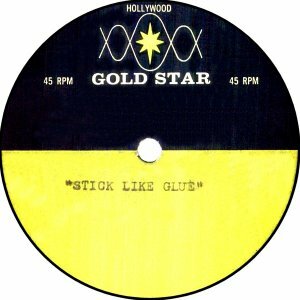 We recorded three original songs by Ron Elliot on that session, "People Are Cruel", "Stick Like Glue" and "Still In Love With You Baby". Over the next few days, after the group returned to the Bay Area, I took copies of their recordings around to the companies I was doing business with - Rendezvous Records, Dot, Era, Columbia and a few others. This was during the period of my career when I could go directly to the person in charge of buying masters for their company. However, none of the people I played the songs for thought they were good enough to release. I believe it was the only time I was unable to get a release on a session I produced. I finally decided I wasn't going to be able to sell the Beau Brummels here in Hollywood. Since Ritchie had paid for the session, I let him keep the session tapes and told him he might try to sell the group on his own. I wished him well. I soon left for Europe for six weeks to promote one of my other records, so I didn't give the Beau Brummels' session much thought after I said goodbye to Ritchie. However, a few months after I returned from Europe, I began hearing "Laugh Laugh" on the radio as it climbed the charts. I later heard Ritchie had promoted the group to a disc jockey in San Francisco and they were all hitting it big. Such are the fortunes of the music business. That trip to Europe might have deprived me of the opportunity of producing a big hit record. However, I'm glad I was the first to record them as the Beau Brummels and that my intuition about their ability was later confirmed. I was also pleased to hear from Alec Palao that Rhino Records was releasing a four CD set of all their works, which included the three songs I produced at Gold Star. To me, the belated release of those recordings represents yet another interesting experience I had in the music business; one to be remembered fondly and to finally receive acknowledgement for.